When Joanna's Cakes offers you an exclusive cake, you grab it with both hands and never share it with anyone! Well not quite, as we'll be sharing the joy of Joanna's baking in store with our #Kollective. Joanna is our baking queen supreme, a conscious baker who whips up a storm using nutritious and well sourced ingredients. She has kindly gone out her way to design a cake exclusively for KoHo to keep our #Kollective healthy and happy. 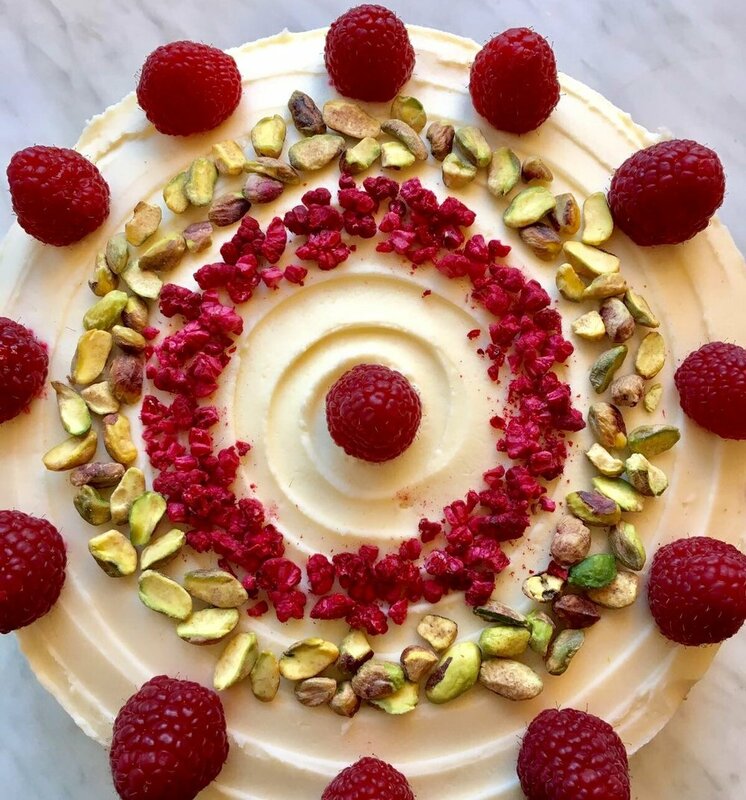 This new raspberry, lime and pistachio cake is not only divinely decorated, but packed with antioxidants, vitamins and fibre to help improve your overall well-being. Pistachios alone have a whole host of health benefits which help sustain a healthy heart. Collect this treat in store for an extra special occasion, or eat in with a hot cup of tea or coffee. Either way, you're winning.